Liyan has experience in a diverse range of personal and corporate insolvencies covering a broad spectrum of industries. Her comprehensive understanding of business operations assist her in all types of insolvency and reconstruction matters. Liyan has managed a wide range of appointments including Voluntary Administrations, Liquidations, Statutory Trustee appointments, Bankruptcy, Receiverships and Personal Insolvency Agreements. Liyan’s valuable experience, commercial and ‘hands on’ approach together with her ability to draw on the skills and expertise of the Vincents team enable her to deliver outstanding results for her clients. Liyan has over 17 years of experience specialising in both corporate and personal insolvencies. 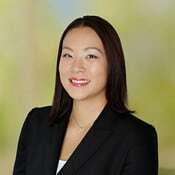 After commencing her career in a boutique insolvency firm, Liyan joined Vincents in 2005.